DHS S&T has dedicated a multiyear program to address GPS vulnerabilities in critical infrastructure, with a multi-pronged approach to conduct vulnerability and impact assessments, develop mitigations, explore complementary timing technologies and engage with industry through outreach meetings and events. Our nation’s critical infrastructure sectors strongly rely on accurate position, navigation and timing (PNT) to function efficiently and with the reliability required to keep assets and Americans safe. Precision timing is one aspect that is particularly important, with one microsecond level or better synchronization often being required by numerous infrastructure systems, such as the electric grid, communication networks and financial institutions. Currently, the global positioning system (GPS) is the primary source of distributed and accurate timing information. However, GPS’s space-based signals are low-power and unencrypted, making them susceptible to both intentional and unintentional disruption. To better understand vulnerabilities at the end-user equipment level, testing and evaluation is being conducted on an array of commercial GPS receivers used within the critical infrastructure sectors. This will help characterize the GPS receivers’ behavior under various scenarios and identify key vulnerabilities. Analysis is also being performed to better understand the national impacts and consequences of timing disruptions to critical infrastructure. These system-level risk and impact assessments will help prioritize mitigation efforts. Mitigations range from implementing best practices to developing improved, more secure hardware. This part of the program focuses on several different types of mitigations. Developing new antenna designs optimized to minimize jamming and spoofing effects on GPS receivers. In addition to mitigation capabilities, complementary timing technologies will be developed to reduce reliance on a single system (GPS). This effort is driven by National Security Presidential Directive-39 (NSPD-39) of 2004, which mandates the development of alternate PNT capabilities to augment GPS. Alternate timing technologies will not only provide new sources of robust timing data, but they will also hamper jamming and spoofing attempts, as having complementary timing sources enables comparison and validation of timing data. A key element of the program is outreach to a number of different stakeholders to educate them on threats, vulnerabilities, impacts, and mitigations. The equipment manufacturers are a key part of this effort, and test results will be used to engage and inform manufacturers on the need for more secure and robust equipment. Critical infrastructure owners and operators are also key stakeholders to educate on the current and evolving threats, best practices, and mitigations. Industry outreach is a key component of the PNT program’s strategy, and a major event S&T hosted was the 2018 GPS Equipment Testing for Critical Infrastructure (GET-CI). This annual event provides stakeholders an opportunity to test and evaluate equipment in a unique live‑sky GPS interference environment rarely available to the private sector. 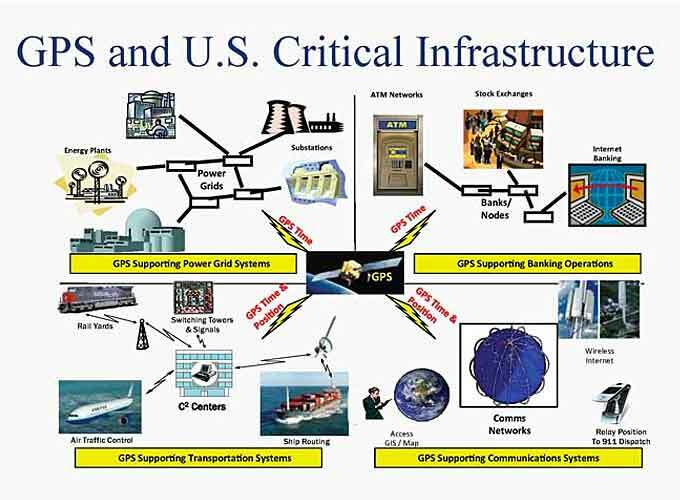 Stakeholders include critical infrastructure GPS equipment manufacturers and critical infrastructure owners and operators. “Many major critical infrastructure GPS equipment manufacturers attended this year’s S&T GET-CI event,” said Sarah Mahmood, DHS S&T Program Manager. In addition to informing the public of the nation’s critical infrastructure challenges, S&T also develops cost‑effective mitigation technologies for GPS interference, such as the Total Horizon Nuller (THN) antenna, which was developed in conjunction with the Homeland Security Systems Engineering and Development Institute (HSSEDI). This antenna design is available to manufacturers through a no-cost license, and S&T has already transitioned the antenna to three companies for commercialization. The THN antenna is a specialized low‑cost “anti-jam” antenna for fixed infrastructure applications that mitigates ground-based sources of GPS interference, to enable critical infrastructure owners and operators to deploy such antennas more widely within parts of their networks that require resilience measures, but were not critical enough to warrant significantly higher priced solutions. “Some critical infrastructure operators have thousands of GPS antennas and receivers in their network. Widely deploying a $10,000 antenna is impractical,” explains Mahmood. Looking to the future, the PNT program is engaging private industry to develop an “assured timing compliance framework” to strengthen the resilience of the nation’s critical infrastructure. This framework will be a key part of the PNT program and aims to help different levels of smart and resilient receivers meet varying end-user needs in sectors, like banking and communications. Participation in this compliance framework will be voluntary, but industry-wide adoption of this framework will enable greater PNT resilience in critical infrastructure, like the nation’s electric grids, communication networks and financial institutions. To learn more about GET-CI, the THN antenna or S&T’s work in the area please visit Position, Navigation and Timing (PNT), or email GPS4Critical-Infrastructure@hq.dhs.gov. 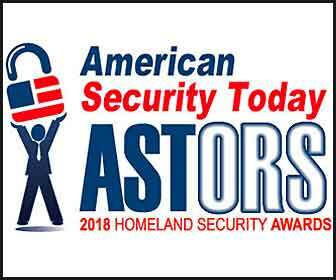 Be on the lookout for the upcoming 2018 American Security Today ‘ASTORS’ Champions Edition for in-depth coverage of the outstanding agencies and companies that received American Security Today’s 2018‘ASTORS’ Homeland Security Awards. The ‘ASTORS’ Champion Edition is published annually in December and includes a review of programs and feature details on many of the winning firms. To Learn More about the ‘ASTORS’ Awards Program, Sponsorship Opportunities and More, please contact Michael Madsen, AST Publisher at: mmadsen@americansecuritytoday.com or call 732.233.8119 (mobile) or 646-450-6027 (office).